Established 18 years, Something to Celebrate are passionate about balloons and dedicated to making your event just that bit more special with our imaginative & tailored balloon design. 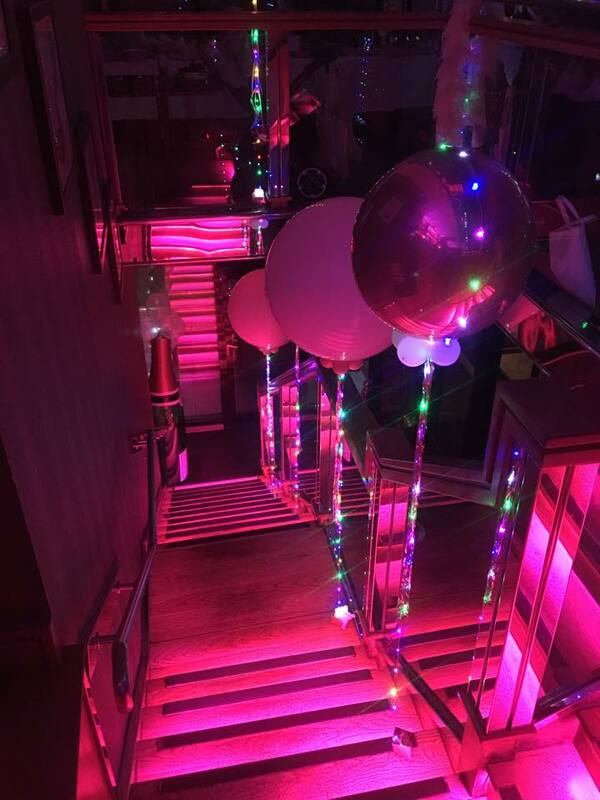 We stock only the best quality balloons in every colour imaginable and co ordinate with coloured ribbons and weights.We treat each and every balloon with a special gel to increase the float time and protect the balloon. We are very knowledgable about most venues and will advise you what will work best in a space whilst listening to what you want to achieve. Our Discounted packages have been created using the most popular styles of balloons and there is something for every size of room. Dont worry, we will tailor a package especially to suit you and your venue ! We hope our pictures speak for themselves but do not hesitate to contact us if you need any further information or advice. Visit our Facebook/Instagram page or give us a call, we're here to help !! At 'STC' we have had many thousands of customers and all their requirements are different !! Whether you need a single balloon or a thousand, we will make sure you have the perfect balloon or balloons to suit your needs. A face to face chat is infinitely better when tailoring a balloon package just for you. I can inflate balloons to ensure a perfect colour match for your event.